The OPRC team will go on to compete at the USTA Southern Sectional Championships to be held in Birmingham, Alabama July 25-August 2, 2009. Winners in Birmingham will then advance to National Championships later this year. Congratulations on your State win and Good Luck in the Southern Sectional! 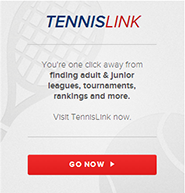 For more information on the State or Sectional Championships, click here.